Have you used ChannelAdvisor Marketplaces? Write a review and share your thoughts (you don't have to register first). ChannelAdvisor Marketplaces enables automated delivery of accurate product data, channel management, analytics and the capability to expand internationally. Reach audiences on global marketplaces such as Amazon, eBay, Cdiscount, Tesco, MeinPaket, Zalando, Le Redoute, Tmall and more. Have you used ChannelAdvisor Marketplaces? Write a review here (you don't have to register first) or see all 121 reviews. 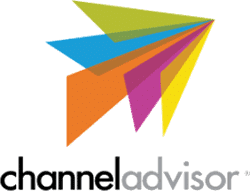 See all 218 news items about ChannelAdvisor Marketplaces. Want to talk about ChannelAdvisor Marketplaces? Start a new discussion (you don't have to register first) or see all 307 related posts. Setup fee plus percentage of sales. Multichannel ecommerce platform ChannelAdvisor has released features including a new pricing console and an improved demand forecasting module. The Amazon Pricing Console provides ASIN-level data, Amazon repricing tools and calculators, in one streamlined location. Users can report on performance, see competitor information, adjust minimums and maximums, and change repricer rules. Velocity Repricing adjusts prices automatically based on goals, such as improving profit margin or increasing unit sales. This eliminates the need to manually monitor inventory levels, performance metrics and sales velocity data. Velocity Repricing helps reduce spending on storage fees for underperforming products, and earn more on top-performing SKUs. Demand Forecaster Premium provides additional insights to prevent overstocking and under-selling, by predicting the inventory needed to meet upcoming demand. In addition to per-product estimates of stock needed for the next 30, 60 or 90 days, Premium also shows forecasts by channel, category and fulfillment type. ChannelAdvisor's improved Shipping Management Suite has full API support and over 20 specialty features. Advanced automation helps ensure each order is sent using the fastest, most cost-effective shipping option available. Orders can be split, formatted and routed based on shipping fees, speed and other variables. ChannelAdvisor Fulfillment Services keep connections to distributors and third-party logistics providers up-to-date at all times. Even if a distribution partner's technology changes, orders will continue to go through. Orders can be automatically routed to the most cost-efficient distributor, by comparing prices across suppliers. Finally, Nielsen Product Availability has been added for manufacturing brands, to ChannelAdvisor's Where to Buy Local solution. This ensures consumers will always see the most up-to-date information on in-store retail stock. Multichannel ecommerce solution ChannelAdvisor Marketplaces now supports MyDeal.com.au. ChannelAdvisor will support MyDeal as an included marketplace in its e-commerce platform, which allows ChannelAdvisor customers to transform and submit their product data to the marketplace, manage inventory and facilitate the flow of orders. MyDeal has an estimated 1.5 million customers on the marketplace. "We are excited to support the MyDeal marketplace and the opportunity it brings to Australian retailers," said Simon Clarkson, ChannelAdvisor Managing Director – APAC. "We have seen strong results for customers who are using our integration services for other marketplaces like Amazon, Catch and eBay in Australia. Adding MyDeal to the marketplaces we support represents a great opportunity for sellers using our platform and we look forward to our strategic partnership." Founded in 2011, MyDeal is one of Australia's leading online marketplaces, and reports that they provide Australian consumers with over 300,000 lifestyle products across 3,500 departments and send over 45,000 parcels per month. "Australian shoppers are embracing marketplaces and our customers are leveraging this model with great success," adds Clarkson. "The ChannelAdvisor integration means that brands and retailers can streamline their processes and focus on a strategy to increase their footprint and get tangible results." Multichannel ecommerce solution ChannelAdvisor and tax software provider Avalara have partnered to help online sellers handle U.S. sales tax. ChannelAdvisor and Avalara will work in close collaboration to assist brands and retailers affected by a Supreme Court ruling allowing states to tax remote sales. "In light of the recent Supreme Court ruling allowing states to tax remote sales, ChannelAdvisor customers have an increasing number of tax questions. Our client base is looking to remove barriers that limit their online sales channel expansion," said Paul Colucci, Vice President, Global Business Development, ChannelAdvisor. "We've developed a strategic partnership with Avalara to provide our customers with a solution. Together, ChannelAdvisor and Avalara can help brands and retailers comply with new tax laws more efficiently, helping them save time and money while strengthening their online strategies." ChannelAdvisor's platform gives brands and retailers access to more than 100 global marketplaces. Through this alliance, online sellers can leverage Avalara's tax expertise and software solutions to navigate complex transactions. Ecommerce software provider ChannelAdvisor has partnered with supply chain integration platform TrueCommerce and automotive marketplace Motoroso. The TrueCommerce partnership creates a leading integrated network of marketplaces, wholesale channels, dropship vendors, fulfillment partners, and business systems on one unified cloud-based platform. "As we continue to see rapid change in how commerce is conducted for virtually every merchandise category, it's unlocking new channels for brands to grow while also bringing great pressure on supply chains," said Mike Cornell, TrueCommerce CEO. "To address this challenge, TrueCommerce has partnered with ChannelAdvisor to help our customers accelerate their growth in fast-emerging digital marketplaces. Our global supply chain commerce network will enable brands and merchants on the ChannelAdvisor platform to integrate more deeply with their critical business systems, vendors, and fulfillment partners." Motoroso is an interactive platform that connects automotive and powersports enthusiasts with products and social-rich content. ChannelAdvisor is the first third-party integrator to collaborate with Motoroso, allowing brands and retailers to compete in a major business vertical. "ChannelAdvisor is very excited about supporting brands and retailers who sell on the Motoroso Marketplace for automotive and powersports parts and accessories," said Curt McDowell, Director of Strategic Partners and Category Management at ChannelAdvisor. "With its heavy focus on content discovery, driven by its emerging video production capabilities, we feel that Motoroso will be a premier marketplace destination where the next generation of shoppers will go to get their motors parts and gear." Ecommerce software company ChannelAdvisor has announced its new event format for 2019, running in the spring in the USA and UK. ChannelAdvisor Connect will be an exclusive event for ChannelAdvisor customers and partners. Previously, the company hosted Catalyst and User Conferences each year. Now, ChannelAdvisor Connect will be the company's combined annual event. The event will offer ChannelAdvisor customers hands-on training and workshops. They'll also network with ecommerce peers, hear industry best practices, and identify new services and solutions to help grow their businesses. "Every year, ChannelAdvisor evolves to meet the demands of a changing and fiercely competitive marketplace. We know our customers are facing a rough terrain in the e-commerce game, and we're committed to helping them keep their competitive edge," said Melissa Sargeant, ChannelAdvisor chief marketing officer. "We're here to help them make personal connections with the key players in their industry and e-commerce thought leaders at ChannelAdvisor Connect. It's going to be an exciting time as we welcome new and returning customers to our new conference." ChannelAdvisor Connect will be hosted at the Austin Convention Center in Austin, TX on April 8-9, 2019 and at Kings Place in London, England on May 15, 2019. For more information, visit connect.channeladvisor.com. Ecommerce software provider ChannelAdvisor is adding a connection to DHL eCommerce so retailers can access DHL's international shipping services within the ChannelAdvisor platform. "We're excited about this strategic alliance between DHL and ChannelAdvisor, which brings together two industry-leading companies to power the e-commerce opportunity for brands and retailers across the globe," says Charles Brewer, CEO, DHL eCommerce. "By leveraging technology platforms, retailers and brands can accelerate their cross border e-commerce strategy by easily expanding to new regions and selling to anyone, anywhere. This is made even easier with a global e-commerce logistics partner like DHL to ensure a seamless order fulfillment and shipping process." As a strategic partner, DHL eCommerce will bring their expertise in ecommerce logistics and access to a global fulfillment network for customers on the ChannelAdvisor platform. Customers can utilize the network of shared-use facilities at transactional prices to enable high-quality e-commerce order fulfillment with best-in-class operations and multiple shipping options. DHL eCommerce is part of Deutsche Post DHL Group, established in 2014 as part of the Group's growing focus in ecommerce logistics solutions. ChannelAdvisor enables retailers and brands to sell on over 107 marketplaces with a single product data feed. Multichannel ecommerce solution ChannelAdvisor Marketplaces now supports rule-based automatic repricing for eBay sellers. The eBay repricing feature is similar to that offered by ChannelAdvisor for Amazon. Sellers also can specify one or more listings IDs to reprice against to stay competitively priced against similar products. Ecommerce software company ChannelAdvisor will be holding its annual Catalyst Europe conference in London on 9th May. Every year, Catalyst Europe provides a learning and peer-to-peer experience for companies looking to excel in ecommerce. "As European eCommerce evolves, it's crucial for retailers and brands to understand the latest trends and advances in the industry," said Melissa Sargeant, ChannelAdvisor Chief Marketing Officer. "ChannelAdvisor Catalyst is all about demonstrating and understanding eCommerce change and innovation. At Catalyst Europe we will not just demonstrate though – we will also dig into how our attendees can harness innovation to power their businesses and to sell more online." This year's event will feature in-depth peer-to-peer working sessions and more insight from industry thought leaders. ChannelAdvisor will also host a User Forum the day before Catalyst Europe. The User Forum will provide current ChannelAdvisor customers a platform to ask questions directly about the latest updates. The event will be hosted at the InterContinental London – The O2 in Greenwich. ChannelAdvisor is offering an early-bird registration rate of £99 until 8th February. More information and registration. ChannelAdvisor will also be holding their annual User Forum in the U.S. in tandem with the Catalyst Americas conference, taking place on April 17-19 in San Diego, California. More information and $99 discount code. Do you have news about ChannelAdvisor Marketplaces? Let us know. See all 307 related posts. Want to talk about ChannelAdvisor Marketplaces? Start a new discussion (you don't have to register first). Whether you sell on one marketplace or a dozen, we offer an industry-leading solution for marketplaces success. ChannelAdvisor Marketplaces will help you list, manage and optimise all your product listings, on over 40 marketplaces (and counting) around the globe. Meanwhile, we’ll keep your inventory levels in sync and your product orders organised, as well as give you access to valuable reporting analytics that’ll help you sell smarter. With over 2,000 marketplace clients, and over 14 years of experience, we’ve not only seen it all before, but we also see the trends before they happen and help you take advantage of them.